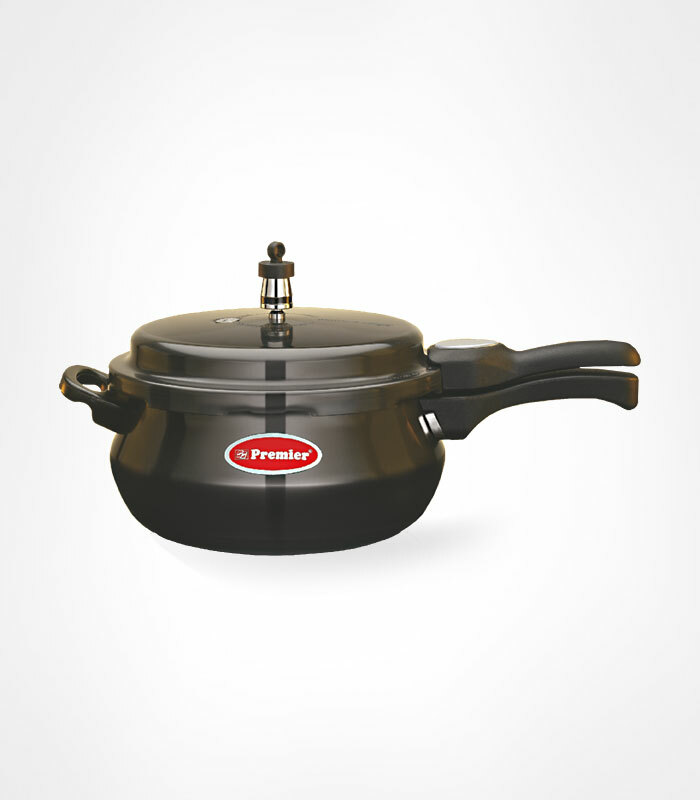 Material: Aluminium, Colour: Black, Size: 5.5 Litre, Warranty: 5 Years, Triple safety system. Stylish and sturdy bakelite handle for safe handling. Spreads heat uniformly and cooks quickly. Hard Anodized for healthy cooking. 3.25 mm Bottom. More stylish and more hygienic to cook. From Premier's aesthetically designed pressure cooker range. Safe, Reliable and Long Lasting.